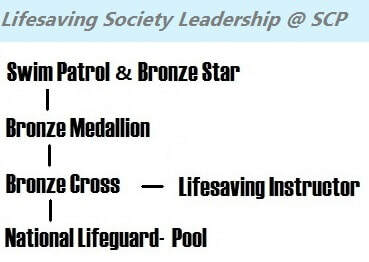 We are proud to represent both the Royal Lifesaving Society and the Canadian Red Cross in their delivery of youth, teen, and adult leadership programs! Both agencies offer high-level water safety and emergency response training which are ideal for strong swimmers seeking a challenge and/or future employment in the world of aquatics! Click the icons below for more info. Course Prerequisites: Age and first aid training requirements are determined by the CRC & RLS. We offer various levels of first aid training which are occasionally built into our leadership programs. Please read all prerequisite info at the time of registration as you may be required to obtain first aid training prior to the start date of these courses.